Are there areas of your body that make you feel uncomfortable? Does stubborn fat on your hips, thighs or stomach keep you out of your favorite clothes and prevent you from feeling attractive? Do you have excess skin and fat on your arms or abdomen that won’t go away despite your efforts to maintain a healthy diet and fitness plan? If you answered yes to any of these questions, you may be a candidate for a body contouring cosmetic surgery procedure. Board-certified Greenwood, South Carolina, plastic surgeon Dr. Ted Vaughn has more than 20 years of experience helping patients achieve the look they desire through a broad spectrum of customized cosmetic surgery procedures, including popular body contouring treatments such as liposuction and tummy tucks. Please call 864-223-0505 to schedule a consultation today. 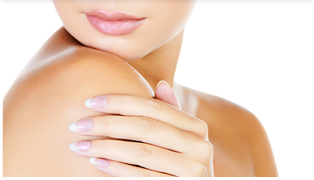 If you would like to learn if a specific body contouring procedure is right for you, please contact Piedmont Plastic Surgery by calling 864-223-0505 or completing our online form to schedule your personal consultation with Dr. Ted Vaughn. We welcome patients from the Greenwood, Greenville, and surrounding areas of South Carolina.